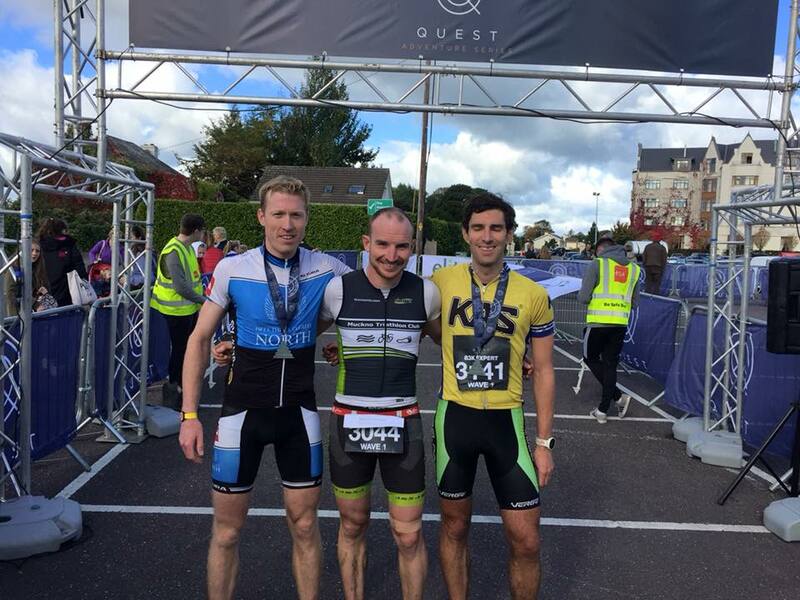 Sixth year running around Killarney, I was surprised to end up on the podium in 3rd after 4 hours of racing. This is a story of familiar faces, glorious gaps, muddy mountains, lovely lakes, stupid sheep, continuous climbs, dangerous descents, several surprises, pilates poses and lots more. I’ve been going down to Killarney since 2013 and it’s one of the best events around. 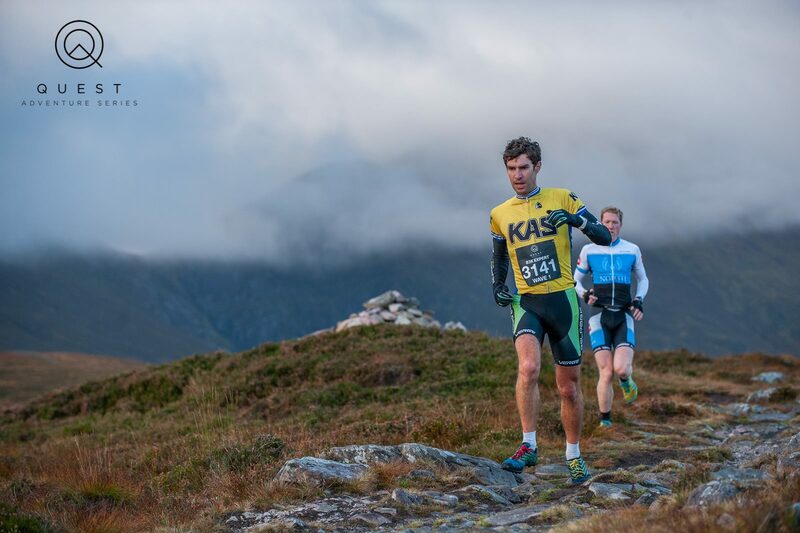 It’s a combination of the spectacular setting in Killarney National Park, to the camaraderie and positive attitude of all competitors, to the sunny weather (guaranteed) in the deck chairs at the finish. It was nice to get on the road early Friday to beat the traffic. I stretched the legs by jogging over to the Gleneagle. Registration was really efficient. I felt relaxed and happy to be injury free, after the last two summers being restricted due to injury. Up for a 5.30am brekky and down to the start in the darkness for a 7.30am start. The weather was perfect – no wind, just calm and chilly at dawn. After the airline like pre-recorded safety announcement, we buckled our seatbelts and hit the road. This really is a race of two halves, you can be winning 2-0 at half time and still lose 5-2. It’s a bikers first half, then a runners second half. The peloton set off in darkness, people chatting and checking who had togged out. The usual Cavan crew, plus Barry Cronin and a good cyclist Cathal O’Donnabhain. 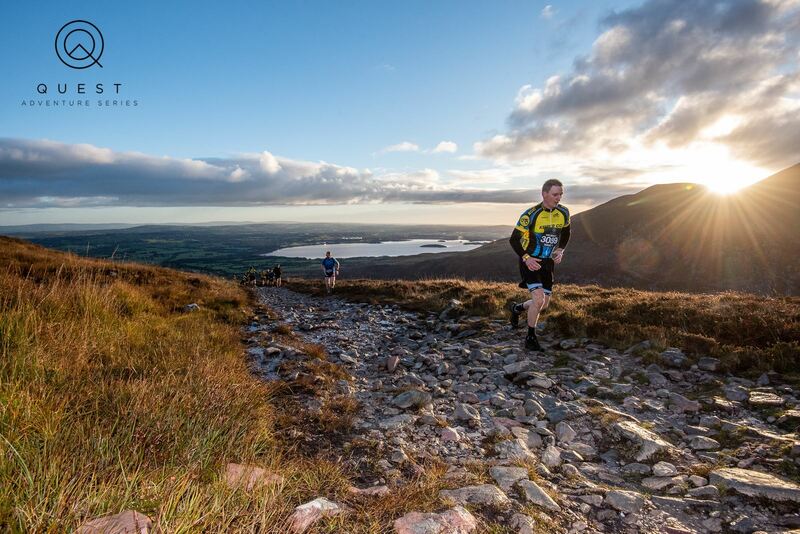 The most beautiful moments of the race are usually after 8am as we run up Strickeen mountain. The first rays of daylight from the east brighten up the lakes below. It’s so still, just the sound of heavy breathing of competitors. Thank God I’m not an Instagrammer who takes photos en route, because it would be hard not to stop. I was 4th to the top, dropped to 6th at the bottom, so chased Barry and Dessie on the bike. 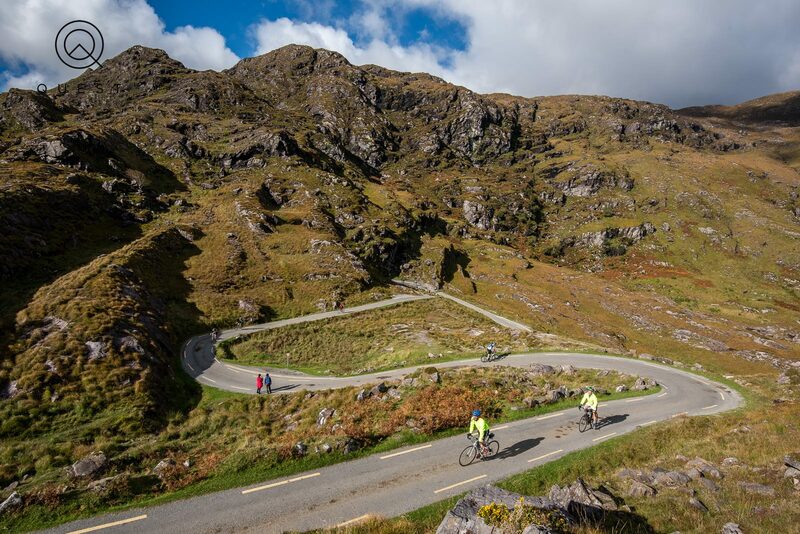 We worked together up the Gap of Dunloe and had great intentions. That’s until the descent of the gap. It’s lethal enough, hairpin bends, slick surface, loose gravel with the added bonus of horse shite in the middle to make it a little more interesting. Add in the blinding reflection of sunlight off the wet tarmac and you can’t see a thing, should a car, or a sheep appear. Anyway, Dessie gave us a lesson in descending, like a good skier on a black scope, so Barry and I soldiered on together. Chatting away, we probably should have got the heads down. Eventually the Cavan lads caught us. The didn’t fancy working with us, so we got to the kayak together. Just as we approached half time, the ref signalled a few minutes extra. It proved decisive. Unwittingly, this could have cost me, but I didn’t know at the time. Arriving in 5th, I got the last single kayak. The two boys behind jumped in a double and powered by me. I lost over a minute to Barry and the ref blew for half time. Running back to Torc I was now in 9th. My fingers had warmed up, so I could manage to peel a banana without dropping it. Refuelled, I figured I could catch Barry. His back was at him, maybe he’ll slow down. We’d 19km of mountain running ahead of us. I duly caught Barry and we resumed our chat. We couldn’t be split. On the open mountain, we caught Dessie. Then we came across Luke, he was in 3rd but ran out of steam, so we tried to encourage him, but he knew his race was over. Ok, now we have a race – Barry had said it earlier “you never know what can happen, puncture or a fall.” Now we were fighting for 3rd. Fighting’s a strong word, as we just ran together. I knew I had to pull away on the climb as he’d beat me on the descent. 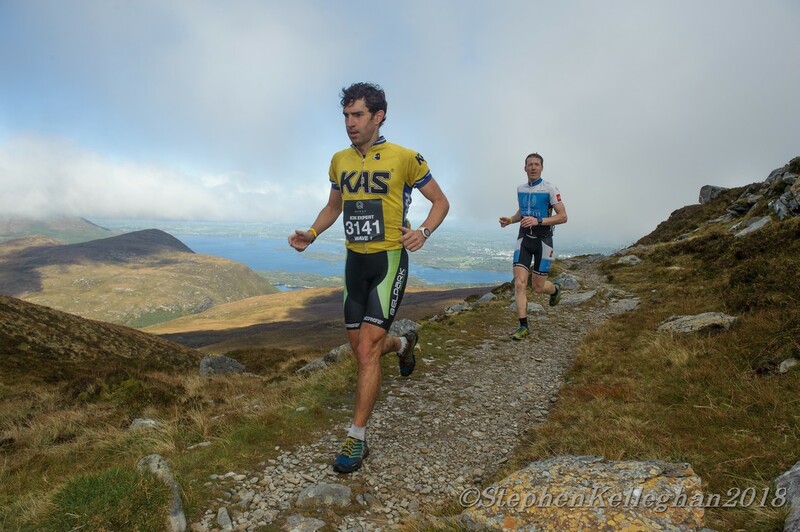 We met the leaders, Cillian 4 minutes ahead at the top, Cathal looking a bit more tentative on the descent, only about 2 mins ahead. Ok, let’s see. Barry pulled away from me quickly on the descent. Damn. I knew Dessie wouldn’t be far behind. Game over. He hadn’t passed me long, when I saw him again. He’d twisted his ankle and was out. Game back on. I’m back up to 4th. Then I spot what could be Cathal in the distance. Over 5km of mountain running to go, I figure he’s slowing. I push hard through the woodland, passing runners only starting their climb. I get close to Cathal and realise I need to build a 1-2 minute lead on him. This guy is a top cyclist, racing with Aqua Blue I heard from Barry earlier. Crap, he’ll catch me on the last 5km cycle back to the finish. I get back on the bike and don’t look back. I go hard, legs heavy turning the pedals. The road is flat but seems like a headwind. Voices in my head are pushing me on. I look back once. No sign. I see the Gleneagle and relax a bit. Into transition, over the line in 3rd. Delighted and surprised. It’s a long slog, over 4 hours. It really is a game of two halves. I went from 4th, 6th, 5th, 9th, 3rd, 5th, 3rd over the course of the race. I know I was lucky – 3 of the top guys had bad luck, but that’s racing. Never give up. The finish was nice. Glorious sunshine. A cold pint sitting in a deckchair, looking at the mountains we’d just climbed. It felt good. I tried the yoga mats for a few stretches. Sore but worth it. I’m even sorer 2 days later writing this. The trophies are lovely – Quest engraved Valentia slate. That night was fun. After a nice dinner & whiskey bar visit with my dad, I met the race crew for a few drinks. The Sweetbriar Tramore crew were there. These are the guys who have me in their phone contacts as “Could Do Better Power” after my near miss podium finishes in Dingle over the years, where we always meet. After hearing I made the podium, the phone was whipped out and my name is now upgraded to “Did Do Better Power.” So I’ve that weight of expectation to keep up for next year. It did get me thinking, as small margins do make a difference. Barry beat me to 2nd by 42 seconds. Did we try work hard enough on the bike together? Could I improve my running technique to descend faster? Could I learn how to cycle downhill & corner better? Could I practice kayaking a few times a year? Should I get a coach to structure my training and make it more focused? I definitely put in enough hours, but are they because I enjoy being outdoors rather than because I have to train? I’m always curious and mystified by what and how much people eat in endurance events. For me, it’s simple. Over 4 hours, I ate a banana after 2 hours, drank a bottle of electrolyte water on the bike and munched on a homemade coco-date ball and a few nuts on the mountain run. I felt fine.